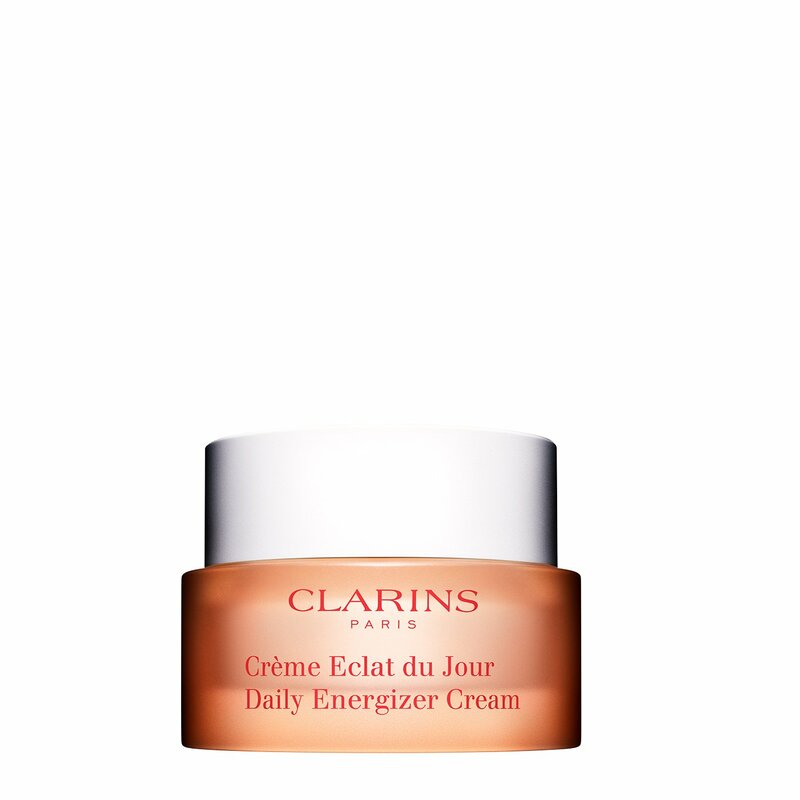 Daily Energizer Cream is a skin firming cream that delivers soft, smooth skin - minor imperfections disappear and your complexion is left healthy-looking and radiant with this skin firming cream, a formula that will also leave your skin toned. Skin is soft and supple but does not shine, unlike other skin firming creams. With no oily effect, it is also an excellent base for make-up. Skin is perfectly hydrated once this skin firming cream is applied and your complexion is even firmer, fresh-looking and bright. Recommended for women in their 20's seeking the ideal skin firming cream! Restores radiance to the complexion. helps to stimulate the skin’s natural defences. Apply to a cleansed face and neck with light pressing motions, working from the centre of the face outwards. Rated 5 out of 5 by S060 from Amazing I have this whole range and love it. My skin is glowing and lovely and soft. I also have hormone injections so my skin can change often and this whole range has really helped to decrease this. Would highly recommend!! Rated 5 out of 5 by FireFox from Great Cream! I've been using Clarins since i was in my late 20's and i'm 58 now... The range for my age group doesn't work for my skin type but this little gem does! Great results after just a few days.. As another person rightly said " This cream should be for any age" If it agrees with your skin! 5 stars! Rated 5 out of 5 by Cocojam from Absolutely love it I’ve been using this for 2 weeks now and falling in love with it every time I use it. It seems like it has a heavy texture but once I’ve applied it on my skin, it leaves my skin moisturised, soft plus the lovely smell of citrus Is totally awakening. I had oily skin and was using the truly matte moisturiser and got bored with it. I thought it’s time for a change. This also works well for oily/ combination skin. My skin turned really dry when I got pregnant and it works like magic when I mix it with a drop of my lotus facial treatment oil as part of my nighttime skin care routine. Rated 4 out of 5 by Miss L from Great buy! Purchased at my local debenhams the Clairns beauty team helped me chose the right product its only been a day but I am certain this is a great product. My skin is soft and has been lifted with a glow .cant wait too see how effective this cream is. Money well spent. Rated 5 out of 5 by CORINA from Great value for money Clarins does not disappoint me. The cream is rich and moisturising. Rated 5 out of 5 by Alfie13 from Every day cream I love this cream! Really makes a difference to the appearance of my skin. It makes my skin look brighter and more awake, even when I don’t have makeup on. It doesn’t feel like it clogs my pores either which I’ve had with other similar creams. Will buy again! Rated 5 out of 5 by Ciara from Cannot get enough! This product is simply fantastic for the younger skin, just starting to get into a "proper" skincare routine. I began using the Daily Energizer collection when I turned 18, earning my own income, wanting to use a premium skincare line for my post-pubescent, acne-prone teenage skin. I turn 21 next week and I've never looked back! This product does not irritate my skin by any means. My make up goes on fantastically well on top of this moisturiser, and my skin looks glowing on those make up-free days. A true wonder - thank you, Clarins! Rated 5 out of 5 by Emmalouise from Love this cream Absolutely love this cream and how it feels on my skin. It makes my makeup look great and easy to apply. Just wished it was in a bigger jar.